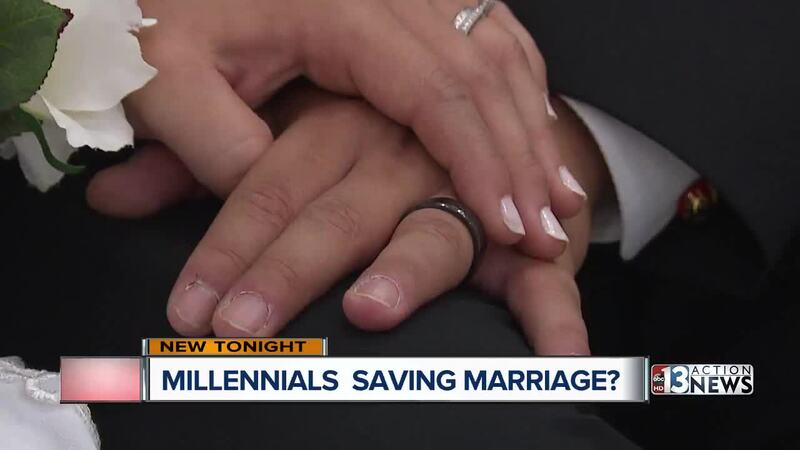 It seems millennials are always being blamed for a lot of bad trends, but now it seems they along with Generation X are getting credit for something good - lowering the divorce rate. Cristina and Geovanni Hernandez walked down the aisle for a second time Wednesday night at the Little White Wedding Chapel on Las Vegas Boulevard. It was their 10 year anniversary.